North Shore Rescue is undertaking a laudable attempt to reproduce the crowdsourced SAR technique used in a major search in 2010 for the current search for missing British tourist Tom Billings. I documented the groundbreaking efforts of a friend of mine in 2010 where he volunteered his time and expertise to take video of the massive search area in the search for Tyler Wright. I presented the results of my research at SARScene 2011 in Winnipeg, Manitoba. 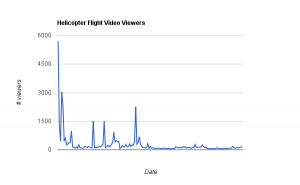 I ended up measuring the efforts, and comparing them to those of the ground SAR members – almost the same number of hours were spent reviewing the video as searching on the ground. I ended up spending many hours interviewing Brad Friesen and other people who assisted in the project, and we learned a lot of things on how to set up the system to make this easier. I also did some design work on a web site that would assist in the processing of the video and imagery. One caveat to the entire process was that previous efforts at this tended to derail a search by submitting clues directly to the SAR team. This was documented in the search for Steve Fossett. The technique employed in 2010, where the clues were vetted outside of the SAR system, was beneficial in that only the highest priority leads came up for review by the SAR group. One of the other major things we learned was that people viewing the video tended to spot the same item over and over again. This swamped the volunteers with clues, and they spent many hours tracking them down. In my design for an improved workflow, items that have been spotted are marked as “ruled out” once someone reviews them, so people can divert their efforts to the rest of the video. This would also reduce the considerable load on the volunteers. 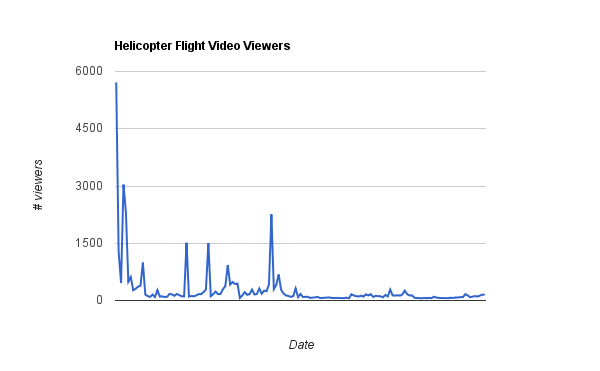 The other major thing we noted was that people would watch the videos in order, and the later videos had less views as people got tired. This meant that the later a video was uploaded, fewer people viewed it, reducing the effectiveness of the technique drastically. The improved workflow sorts videos by views so you spread the work around efficiently. In the end I came up with about 20 improvements to the system. There is an enormous body of research on crowdsourcing, and I only managed to scratch the surface. At SARScene 2013 this year a few SAR members met to discuss applying this to searches in BC. Several of the people attending had not heard of the previous effort, and came up with some novel suggestions and applications. I’ve taken input from my previous research and suggestions from the members at SARScene and am currently working with a researcher at SFU to see if we can get something off the ground and make this easier on searchers. In the mean time, if you are interested spend some time looking for Tom Billings, and if you’re interested in assisting me on getting a crowdsourced SAR platform up an running, feel free to contact me. 2 Pings/Trackbacks for "Current Crowdsourced SAR effort on the North Shore"